It's reliably reported that on April 20, 1996, you and I shared a fist-pump upon hearing Rev. Jerold Shetler say, "I now pronounce you...."
Nine years later it's not what we imagined. How can you visualize yourself so far ahead through moves, career changes, parenthood (and pre-parenthood angst), and just plain personal (and interpersonal) evolution? We've learned, and are re-learning, the same lessons every couple finds -- that marriages and partnerships aren't states of being but they're things you are constantly building, constantly doing, every moment. It's not always the way we want it -- we'd have to be robots to want the same thing at the same time every day. But if you ever doubted it, let me tell you again: life with you isn't what I imagined, all right. It's better, more complete, it's transformed me, my greatest blessing, my favorite challenge, the thing that keeps me strong when the world around us has gone crazy, the gift for which I am most thankful. Without you and Will, I would be a much hollower man. With you and Will, I am alive. When I started at UNC's The Daily Tar Heel about (mumble) years ago, one of the first friends I made was Clare. She was and is unremittingly gracious, thoughtful, funny, and wholly unwilling to recognize any of those facts. She is also one of the strongest people I know, having survived cancer at a very young age. I was honored to read verses at her wedding, and I crossed my fingers when I heard that she and Joe were going to try and have the child they always wanted, even though they didn't know whether her cancer treatments had left her able to conceive. Today Shannon and I received some wonderful news. Clare would say that God was looking out for them, and I would agree. Good luck, Joe. You're gonna need it. 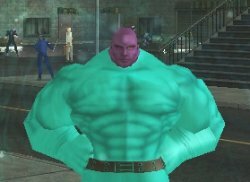 My grandparents-in-law (aided and abetted by my tech-savvy sister-in-law) provided me with yet another addictive timewaster, the massively multiplayer PC game City of Heroes. Unlike another game in the genre that I've been playing for a while, City of Heroes is simple and straightforward. You're a good guy. There are bad guys out there. It's righteous violence time. I am told that my friends have speculated that Will has no chance of escaping his father's upbringing. I suddenly understand why. Thus spake Woody: "And I swear if I hear one more person say that God chose Bush to be president I am going to remind them that the last time God spoke through a bush it was on fire, and I hope to hear God speak again real soon." As long as I'm pimping Lex's blog, I may as well go all the way and mention his new one for the Greensboro News and Record (Why don't they register newsrecord.com? ), The Lex Files. Send him some love. This week I started really feeling the disconnect I've had with so many of my older friends. In the last few months it's been as though I've dropped off the face of the planet for many of them. So I call my old friend C, out of the blue, on the way home from work yesterday. Turns out she has a surprise for me. She's pregnant. Today I call my old friend S, out of the blue, on the way home from work. She has a surprise for me as well. She's pregnant, probably within a few days of C.
I will test this theory on the way home tomorrow. If I'm right, Mark will have no idea where his morning sickness came from. No offense intended to any denizens of Columbus or the Ohio Valley, but I wouldn't have figured on vacationing, much less road-tripping, here a couple of years ago. That was before one of my closest friends took a job teaching at a private liberal arts college here -- and Amanda's one of my distance-has-no-meaning friends. I flew up last October, but when it was time to bring the whole family up this week, airline tickets became as financially unattainable as a personal Lear. Shannon's going to take Will and meet in person an online friend tomorrow -- er, today (he said, looking at the clock with alarm) -- while Amanda has shanghaied me into helping her move her office from one campus building to another. And it's very late. At one end of the spectrum, you have Will Sudderth. Shannon and I disagree on whether he actually walked for the first time -- Shannon had been holding him by his arms and had helped him gain considerable momentum, so if I hadn't been there to catch him it might have looked more like a belly flop than self-propulsion. But it's hard to argue that he took his first steps today. At the other, you have my dear friend Amanda Gunn -- excuse me, Dr. Amanda Gunn, who just defended her dissertation and passed with flying colors. Amanda, hon, you rock.